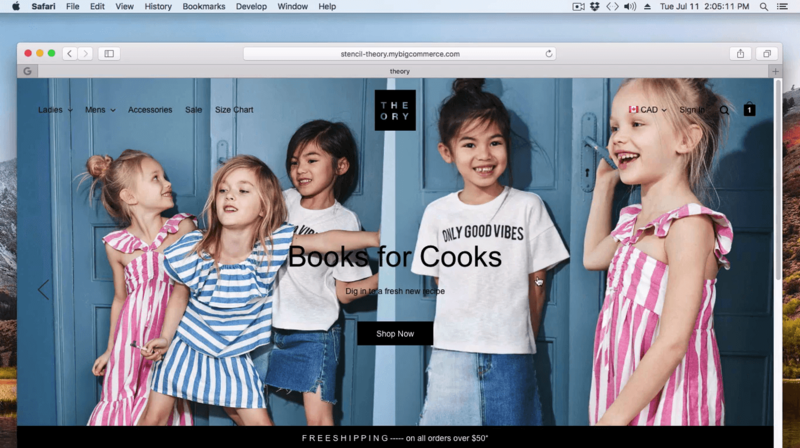 Theory is a sleek and stylish theme full screen designed to scale startups into successful stores. Its offer fullscreen autoplay video at the top of your home page option. this design is fully responsive ready for you to add your branding, logo, and products. It comes ready to build a clean looking and beautiful store with features such as Custom Homepage, social media icons, featured and top selling products, Newsletter Popup, Instagram, Size Chart, Scroll to top, Mega Navigation with image and and more. Fully express your brand by using our Theme Editor to quickly and easily style your site's fonts and colors, all without the need to write code. Bimadness.com Minu is advanced mobile design for Bigcommerce Stencil Theme. Our themes isn’t simply a responsive themes — it’s better in every way. RWD, yet beautifully design for mobile. New Minu Stencil Theme more compact and all new design for mobile version no more tradition mobile design and pixels icon. With a smooth app base design that seamlessly meets the new modern mobile display. Wide Homepage, Wide Video Banner, Custom Homepage, Advance Menu with Images, Lookbook , Size Chart, Instagram carousel, Scroll to Top, Mobile Ready (Complete Mobile App Design), Newsletter PopUp & more.